United looked set to earn at least a point with the scores tied at 1-1, Stefan Scougall had scored his first Blades goal in almost a year, cancelling out Shaun Williams early strike. The Blades delt a bitter blow when they conceded a penalty in the final minute, and Steve Morison duly despatched. Following a midweek defeat to Southend, Blades boss Chris Wilder made four changes, Simon Moore, having joined 24 hours previously from Cardiff City, was handed his debut in goal, and following the departure of John Brayford (to Burton), Kieron Freeman, Paul Coutts and Scouall all started. The opening exchanges provided very little in terms of entertainment in front of goal as each side cancelled on another out and failed to create clear-cut opportunities. Scougall sent his effort over the top from distance, and soon afterwards Clarke failed to connect with Duffy's cross. A inability to defend corners has been a thaw in United's side for the last few seasons, and when Millwall were rewarded with their first corner kick of the game, it became apparent that little had changed. The delivery from the right was only half cleared, but fell kindly in the path of WILLIAMS to drill home 20 yards out. United responded positively and created further chances to get back into the game. Hussey's cross into the box saw Clarke's header deflected wide but within seven minutes of the Lions opener, the Blades were back level. Neat play between Basham, Duffy and Freeman on the right, with the latter pulling the ball back for SCOUGALL to turn home. Morison header over from Martin's free-kick but the control fell to United for the remainder of the half, although they failed to create any chances, but was able to supply a few crosses into the box, which Millwall dealt with most of them. On a couple of occasions, Clarke got the better of the Lions defence, but was unable to create a positive outcome. The second half begun with the hosts making a fiery start, and Gregory had two golden opportunities inside 90 seconds to restore their lead. He curled from Craig's ricocheted free-kick, and after chasing clear he was denied by Moore. Double efforts from Duffy both went wide of the mar, and were the only chances created by the visitors. On 62 minutes, Gregory, formerly from the Blades Academy, poked wide after beating Basham and Moore to Webster's pass. Shortly after the clock had ticked past the hour mark, Wilder made his first change of the afternoon, with Done replacing Sharp. A spirited performance by United was undone in the closing stages of the game, Moore produced a great save from Morison on 87 minutes, and when a call was delivered into the box, O'Connell made the mistake of handballing, and despite protests of being pushed, the referee handed him a yellow card and awarded a penalty. MORISON stepped up, firing home, sending Moore the wrong way. The United faithful were given some hope of a comeback when five minutes of injury-time was added on but were unable to create any chances with Millwall content in sitting deep. Millwall: Archer, Martin, Craig, Williams, Worrall, Thompson, Gregory (Onyedinma 82), Romeo, Webster, Morison, O'Brien (Ferguson 70). Unused: Wylde, Nelson, Abdou, Philpot, King. 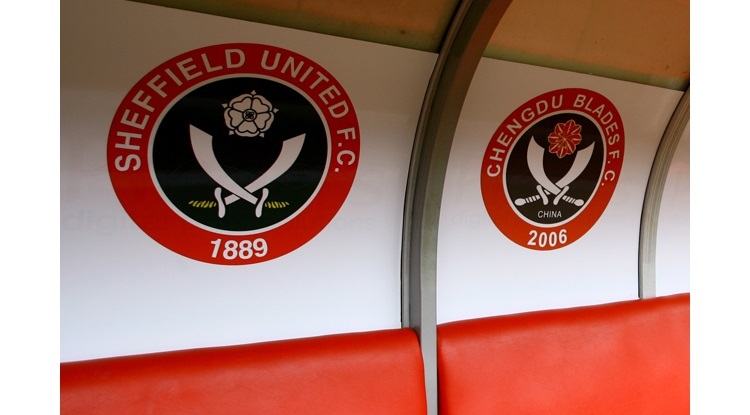 Sheffield United: Moore, Hussey, O'Connell, Basham, Scougall (Chapman 82), Sharp (Done 64), Coutts, Freeman (McNulty 89), Wilson, Duffy, Clarke. Unused: Ramsdale, Wright, K Wallace, Whiteman.